Now, lets upgrade to the Montana! I get +2.42km to my Range, and 17,300 HP, but now my Dispersion is worse, speed is worse, turning radius is worse, and Im not firing any faster or doing more damage...over all its a fat slower Iowa...No extra widgets to help offset 20km torps or deal with the American & Soviet invisible fire throwers...just a fighter. American BBs are not great at Max range and need to be in that mid-short range to get in and brawl, yet somewhere along the road WG forgot that and we got a generic big Iowa. 2. Increased Rate of fire and accuracy against destroyers ONLY within 10K (to put a stop to the suicide torp charge) or Make this a BB only Defensive Fire ability for secondaries. These are just a few thoughts, like I said I enjoy them right now but just seems like (Montana in particular) BBs got left behind on the jump to Tier X.
BB’s are OP vs other classes, which is why both competitive modes, Clan Battles and King of the Sea (Supremacy), both limit the numbers of BB’s. P.S. Going from the Fletcher to the Gearing isn’t a huge upgrade, or from the Chung Mu to the Yueyang, or from the Yuugumo to the Shimakaze... you actually lose torpedo booster. P.P.S. If you can’t dodge 20k Shimmy torps, which take 90 seconds to reach their target, have a server-wide hit rate of under 5%, and a reload of 2 minutes, maybe you’re not ready for T10. Your Monty shells take 12s to fly, have over a 30% hit rate, delete most ships in a couple salvos, and reload every half-minute. Put the spreadsheet down and spend some more time in the game. You've missed nearly all the important factors that make T10 ships strong (caliber, armor, sigma), misinterpreted several columns of what you did list (dispersion is @max range, which makes comparisons invalid when max range is not equal), and made some very poor analytic assumptions (T9 cruisers are crap, so a big jump up just brings T10 cruisers up to par; this is not true of Iowa, etc.). The Shimakaze gets 17,900 HP total. An entire ship’s worth of HP was just added to your BB and you’re complaining it’s not enough? I can't think of a single T10 BB that isn't a huge upgrade compared to its T9 counterpart. Montana has more firepower, much better armor, and slightly better AA. It's also, imho, a lot easier to play than the Iowa. Yamato vs Izumo? No contest, hands down. I don't even have to say anything. Grober Kurfurst is a massive main battery upgrade, better secondary battery, and thicker armor. Conqueror has a lot more firepower, and is a great natural progression to the Lion. Republique has a huge penetration upgrade and DPM compared to the Alsace, and a better secondary battery as well. Being that I have and play the Montana, I find it to be a superior ship to the Iowa in every way, and a lot more fun to play. while the OP is an idiot I personally believe that all ships classes besides CVs are pretty balanced but some are harder to use than others. Battleships are very noob friendly but a good player can't do much more with them than the noob while DDs are hard to use in the hands of a good player they're monsters. I will acknowledge one claim you make - tier X cruisers are more deadly on a tier for tier basis than lower tier cruisers and have the tools to punish out-of-position BBs harshly. BBs are still powerhouses but may be more teamplay reliant at tier X - you need to adjust playstyle and expectations and realize that bad positioning will get you targeted by half the enemy team. BBs are fine and still dominate with support but if you want more freedom and flexibility in tier X solo randoms then cruisers or DDs might suit you better. Now, lets upgrade to the Montana! I get +2.42km to my Range, and 17,300 HP, but now my Dispersion is worse, speed is worse, turning radius is worse, and Im not firing any faster or doing more damage...over all its a fat slower Iowa. So... the whole Y turret doesn't factor into your calculations at all? While yes the Montana, has 3 additional shots and is a good ship, and Im not saying it isn't but what Im saying is it requires more support from other ships in order to function as well as other BBs (and Im thinking German BB line here) have the tools to be autonomous. "Montana has more firepower, much better armor, and slightly better AA...." NorCal, Bama, Iowa, and Montana all have like 100 AA, and I play on NA server so, I don't think I've even seen a Tier X Carrier. Not much of a Win. Thanks for the cordial reply. I guess Im not getting my point out very clear, especially form the REALLY helpful folks who think I haven't played any other class...I agree with your point, that they do get upgrades, my concern though is that they WERE balanced, when it was USA vs Jap, and now with the US Cruiser tweak, its getting nuts, while yes OoOo big scary guns, and lots of health...doesn't help when you have a Worcester, Des Moines, and Kaborosk with machine gun rounds yes...I could one shot the cruisers if they were out in the open not an issue. I was just stating that I think the upgrade curve is getting out further for the newer lines and the old ones "Montana" aren't getting any needed counter balance. Yes I agree playing a BB is easier for beginners but playing a BB really good is much harder as u progress up the ladder . It takes a long time to figure out how to be good . You look and see and lot of the great players are in DD and CA not all of them but a lot . Easy to play BB when u start out because u stay alive longer but it gets progressively harder as u move up everyone wants a piece of you . I think that is more of the way the new lines play, rather then a problem with BBs. The Worcester, Mino, and khaba are all lines that rely on chilling in a spot for a while (or staying at range in the khaba's case) and raining down a lot of shells. These ships are all dangerous and powerful, especially at killing DDs and BBs. Luckily, they have short range, so you can usually avoid them. I dislike these ships, since I think they really have no weakness when played right, but I think this is a power-creep issue, not an issue with the tier X BBs. I think all the tier X BBs are extremely well balanced relative to their role. It's simply the proliferation of anti BB ships at tier X that makes them feel bad. I think maybe if these new lines had a class that was super good at killing them, but I'm not seeing it. You have to look at a lot of factors together. OP, you mention the issue of USN BB accuracy at Tier IX-X, when in fact, the USN BBs there are the most accurate shooting Battleships this side of Yamato herself. You look at Montana's dispersion but as someone mentioned already, those values are at max range. 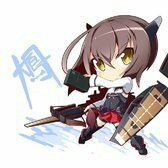 Montana is more accurate than Conqueror, only Yamato is more reliable. Then there's the other factor that wasn't mentioned. Artillery Plotting Room Mod 2, that is in Slot 6 for upgrades. This upgrade improves dispersion by 11%, compared to Aiming Systems Mod 1 that other ships access which buffs dispersion by 6%. Only Tier IX-X USN BBs access this. This is why USN BB gun capability skyrockets at Tier IX-X. Implying that Des Moines is a dream boat is erroneous. 203mm shells with a rate of fire like that of a CL? Sounds too good to be true, right! Correct. Her shells float a lot and hitting things at range can be very problematic. You ever see what a RU DD can do to a High Tier USN Cruiser when trading shells at ranges above 10km? You're onto something, but it's not balance; it's the difficulty of play threshold. Newer battleship lines are easier to play than the old ones, and don't quite have the exaggerated strengths and weaknesses that the earlier lines do. Compared to the Montana, the Republique has the fastest T10 shell velocity, superior penetration, faster reload, superior secondary battery (if you choose to go that route), superior speed, and a similar AA potential minus the short range, which it doesn't have at all. These advantages give it, in most normal game play circumstances, a nice edge over the Montana. Having played some of the German BBs, I can attest that having faster reload and faster shell velocity means hitting targets you wouldn't normally hit, even if they don't do the enormous whollup that American BB shells do. But, the Montana has superior alpha strike and better overall armor, which in the hands of a competent player, are just as advantageous. Additionally, one of the main advantages of the Montana, it's AA, is rarely put to use. This isn't a Montana problem though, but a CV issue. If you were to see CVs suddenly make a huge return in high tier game play, you'd be seeing other T10 BB's spec for it to their detriment in other areas. On the other hand, the Montana can spec full-on for AA without detriment to its main battery. That's something other BBs can't do. Keep at it. The Montana is an awesome ship. Don’t be snarky. It looks like you haven’t played much DD at all. Before you complain about “20k torps” try grinding the IJN DD line. It will give you some perspective on torpedos and BB AP vs destroyers. Seriously, it will make you a better BB player for it. Before you complain about “20k torps” try grinding the IJN DD line. Understandable, however, they could be 6k torps...and it wouldn't matter because The Montana cant see the DD and Cant see the Torps without another ship or if its lucky with its fighter. Additionally, I think a lot of this came from several games of rage at Tier 10 this weekend, was just getting devastated by torps and fires and had several teams that did not want to push objectives. (i.e. All the Cruisers were hiding behind rock throwing fire and my DDs were all the Russian persuasion)...get torpedoed ask for DD help...literal response: "Im a RU DD its not my job" lol, while normally no it isn't....but, its just me you and the Zao (14km behind me...) and its sure is more your job more than it would be the Montana's...I knew there were torps coming....but without intel there's nothing I can do. Im finding more and more games where the BB is in front of everything, (and not just me being out of position) and all the support ships are behind the BB line. From the sounds of it though Im gonna assume that you primary DDs (or at least play them regularly)? While I understand that AP vs Destroyer is devastating, IF, (and that is a HUUUUGE IF) it hits, I guess more to what I was getting at was articulated better by Ranari, I like the Montana, and it's more than capable, I just wish they had some of the shiny new toys that the newer line is getting, and positing that the other ships are advancing faster and in better ways than the Montana. Leaving aside everything else, you don't understand dispersion. The dispersion values given are at max range. When the range is longer than the preceding ship the dispersion at max range of the longer ranged ship is not a direct comparison. You need to look at the dispersion at the max range of the shorter ranged ship. Montana and Iowa have the same dispersion, as do Yamato and Izumo, IIRC. I don't agree with every thing this persons says ! with the exception of one thing All tier 10 BBs could use Hydro at the very least . as for the 20 km torps most DDs don't torp from that range most hit us BBs at about 8kmn and below.